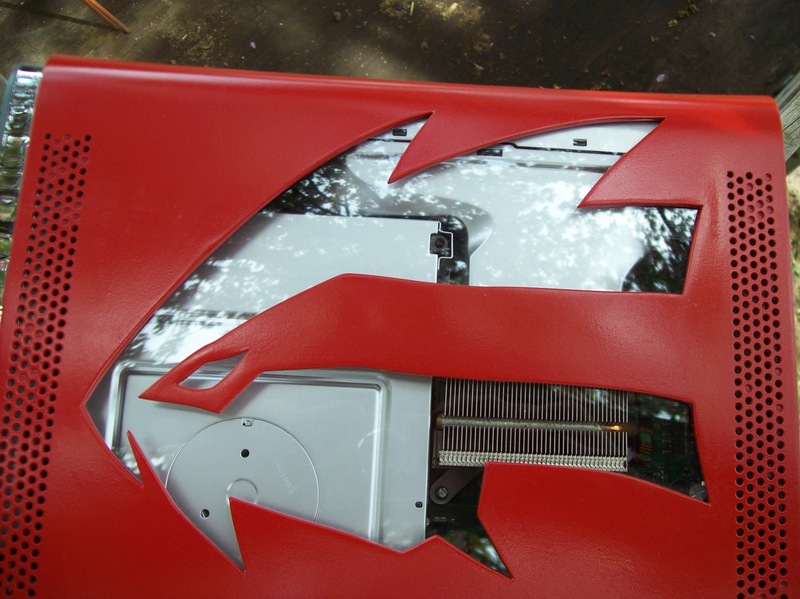 This was a case I did for a buddy. 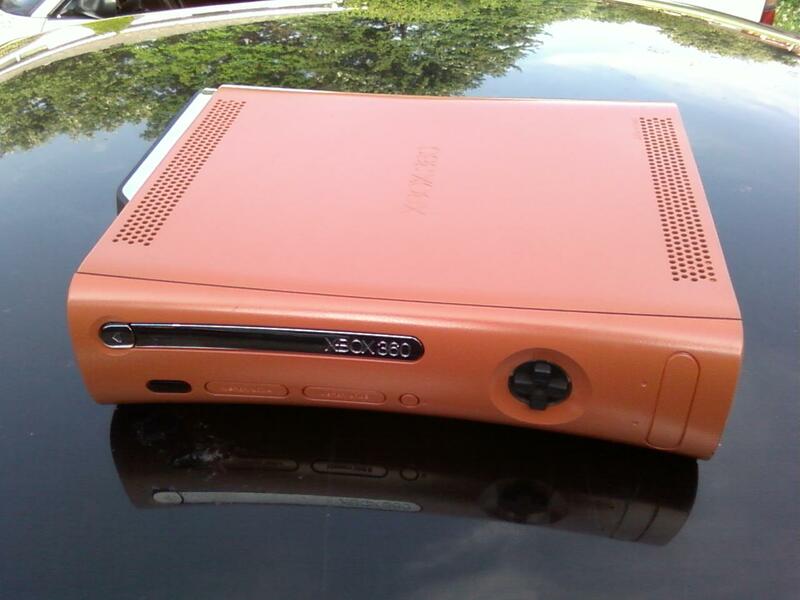 I wanted to make it look inspired by the original Xbox but with it’s own look. 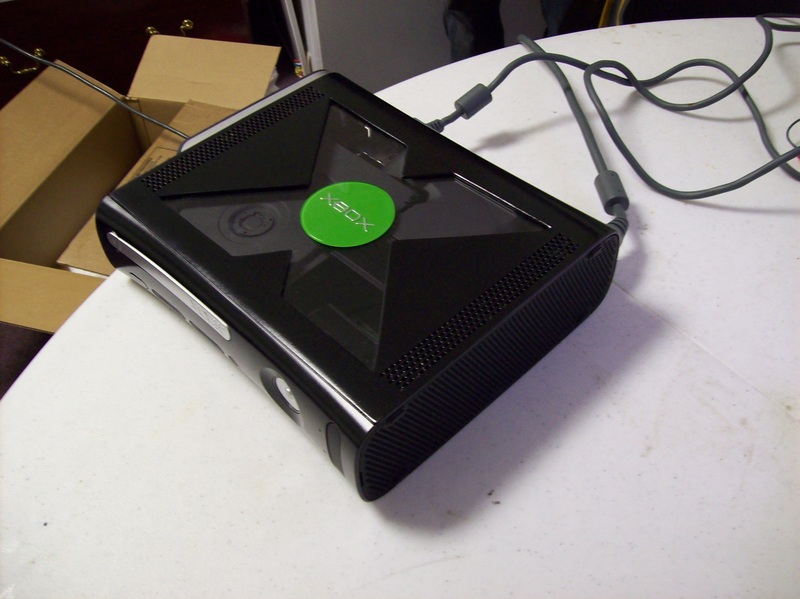 I love the look of the original Xbox. It was so beefy and aggressive. A good machine. 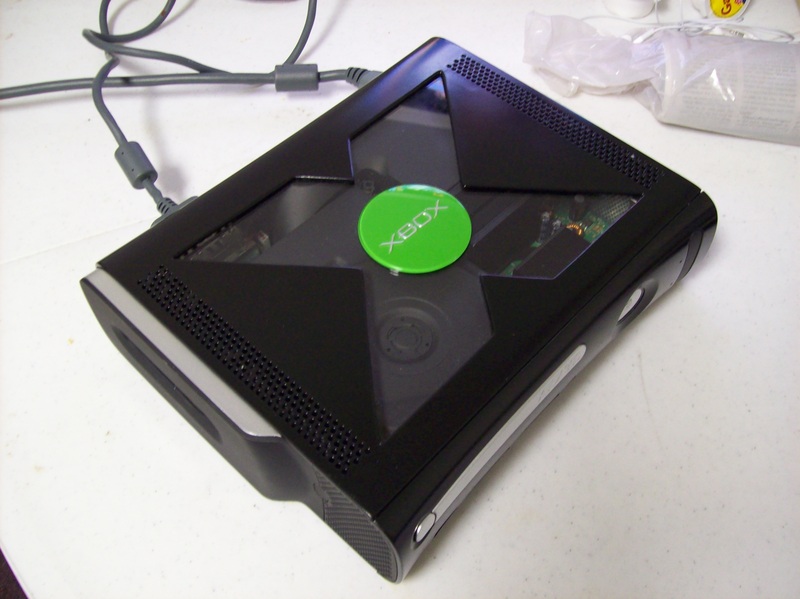 I put a clear window under the X on the top, as well as on the hard drive on the side. 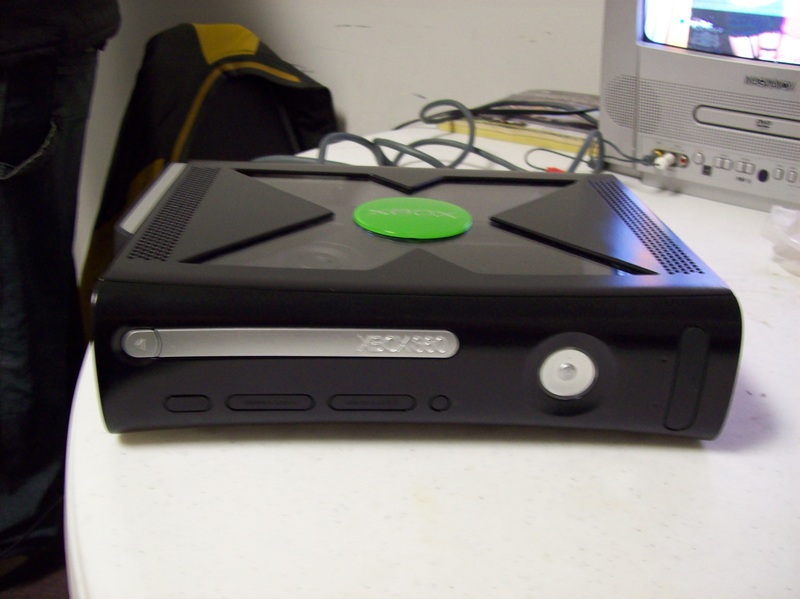 The internal DVD drive, heat sinks, and the heat flow cover were all painted flat black with dupli-color automotive high temp engine enamel. 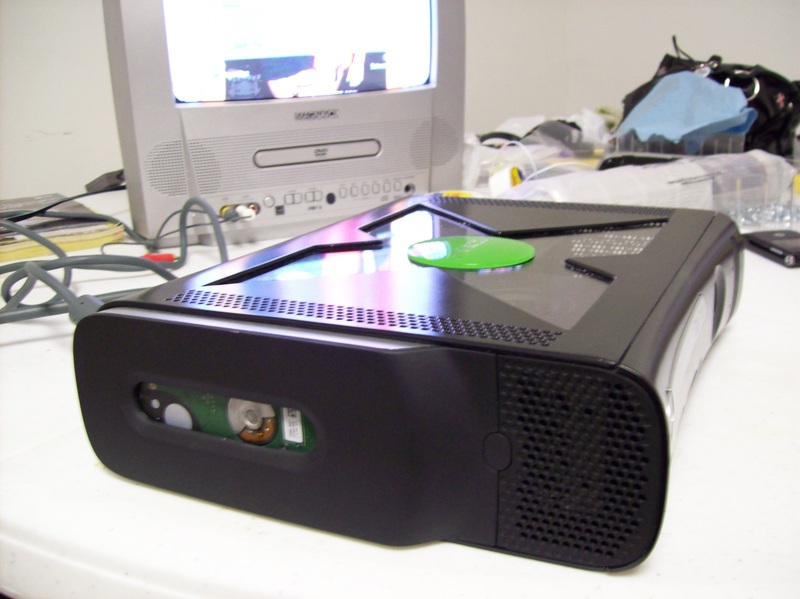 The case was painted satin black, except for the sides which are painted flat black. 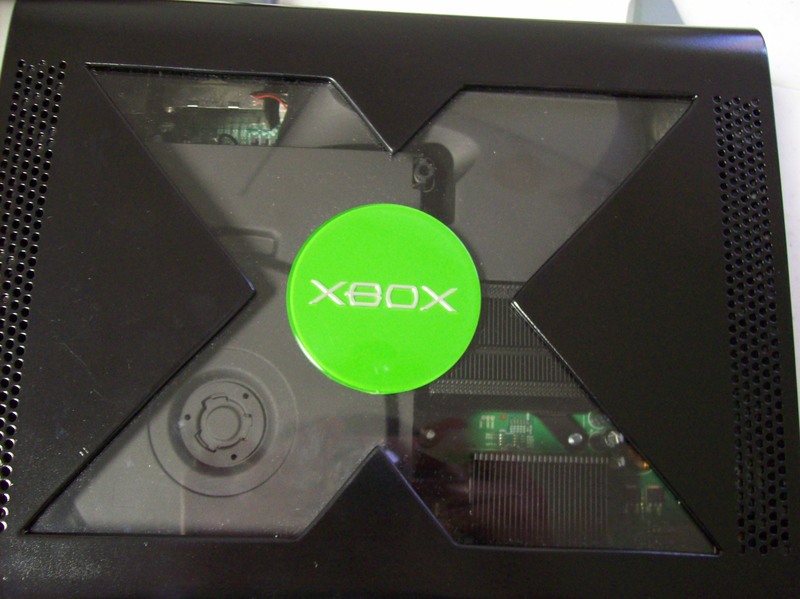 It’s a bit hard to see due to the camera I used, but the USB and memory port covers are flat black to match the sides. The power button has the universal “I” struck through an “O” power button symbol that I cut off an old PC. 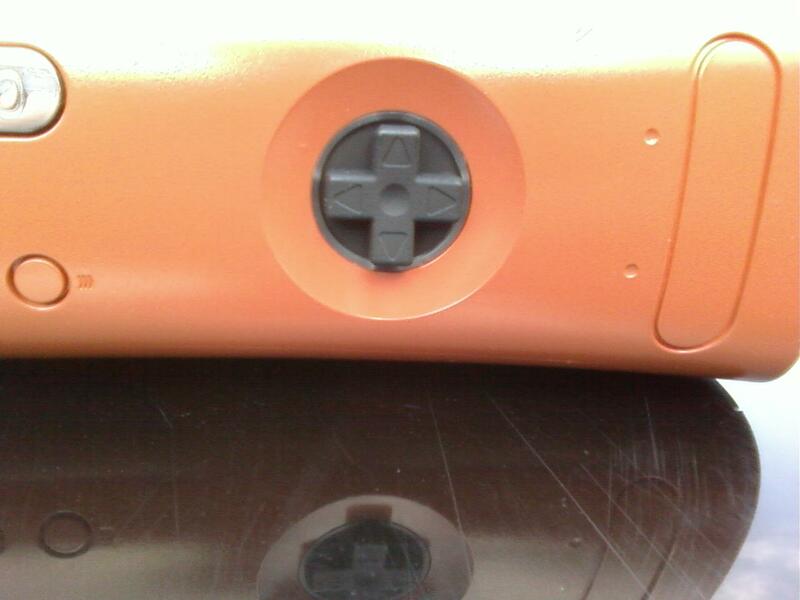 It looks similar to the Xbox power button. 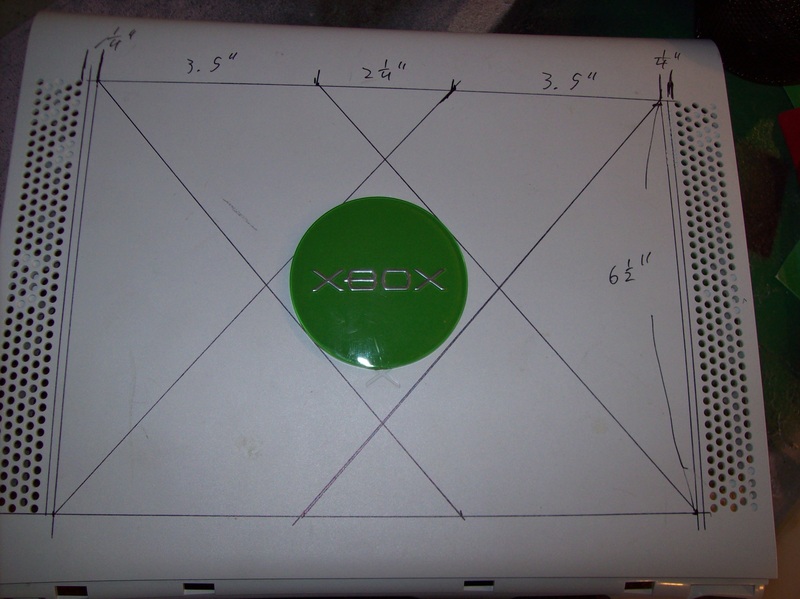 I marked out all the dimensions needed to make the “X” fit in case I ever do another mod. 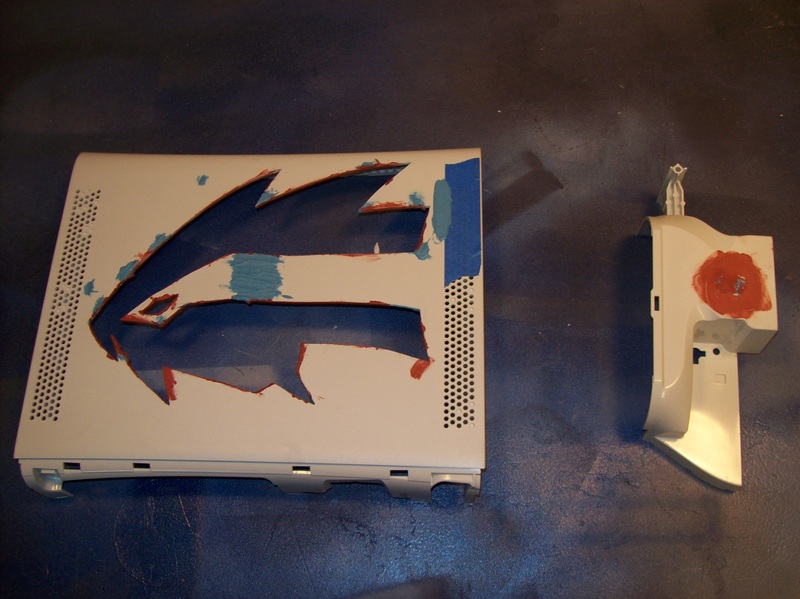 Then Bondo spot putty was used to fill in the gap on the heat sink cover as well as the microsoft logo for a smoother look. 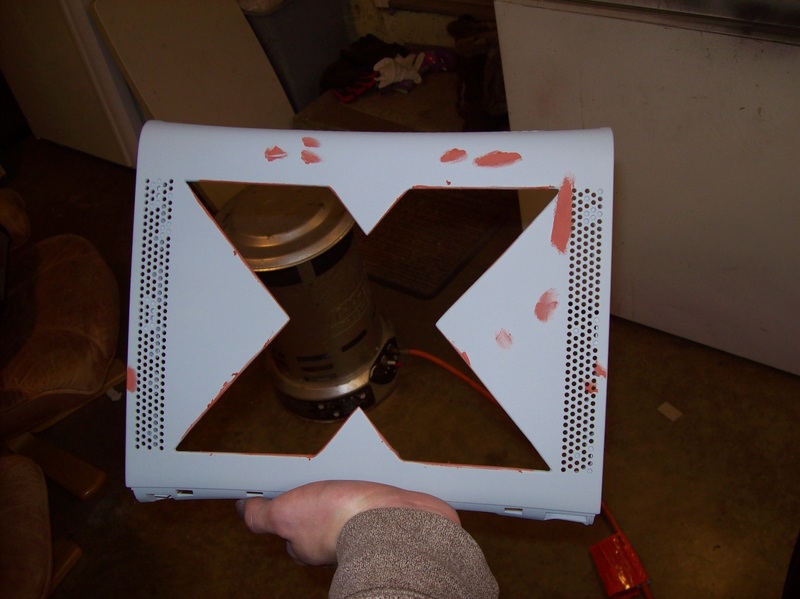 Then the case had several coats of dupli-color high build automotive primer for a smooth paint job. 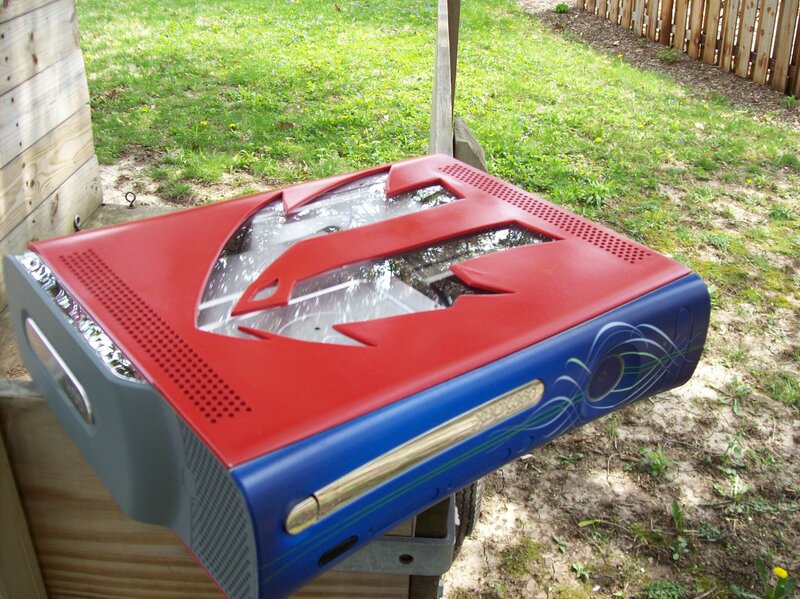 It was a well used system, so after primer you could see the dings and scratches easily. They were then filled with putty, sanded, primed again and then painted satin black. Finally a window of plexiglass was cut out for underneath the “X” and glued in place. 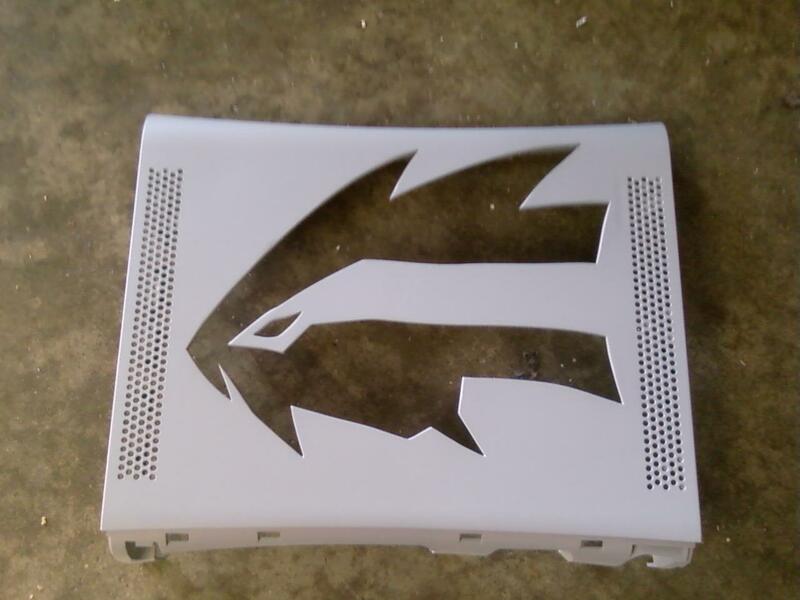 A friend had this design from his sketchbook that he wanted cut out on his 360. We traced it onto the case and then I cut out the shape with a dremel. 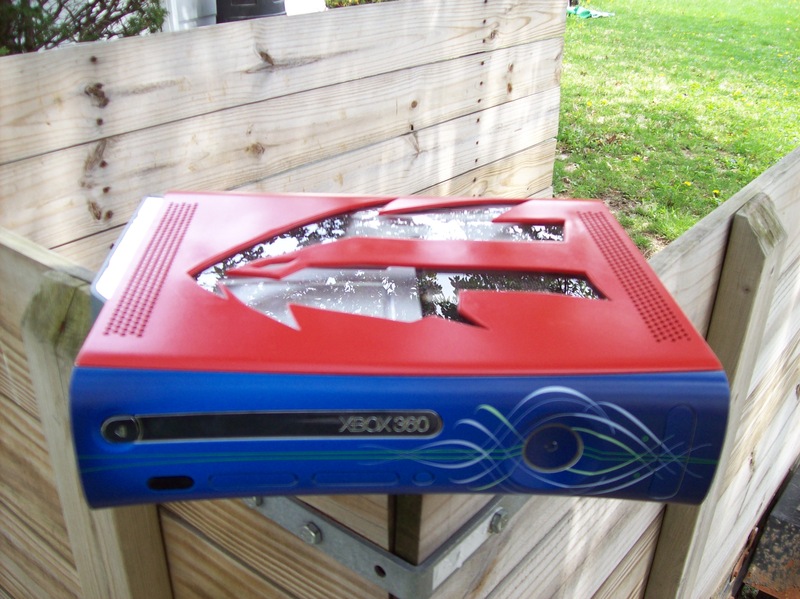 He had this faceplate he wanted to use already and rather than color match the paint, I decided red would compliment it well. Plus, dragons and red go together perfectly. 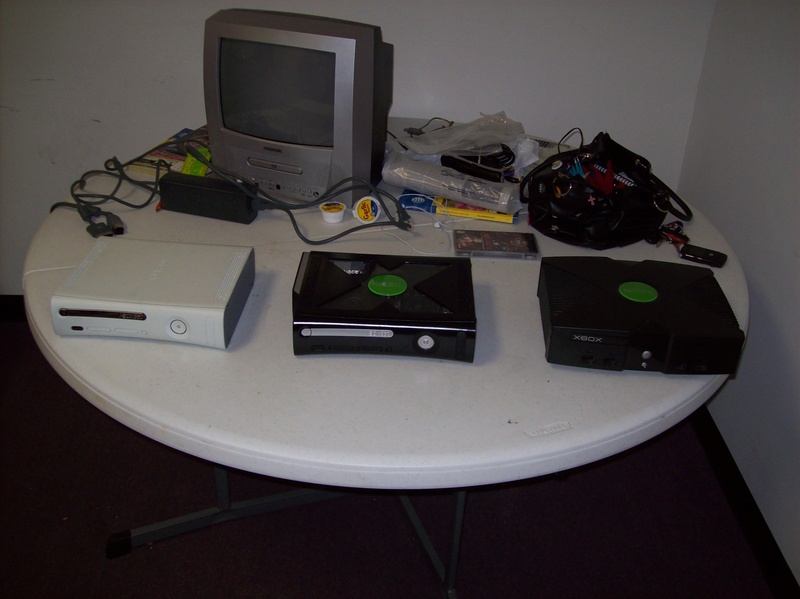 The sides were painted flat black. The internals were painted metallic silver with dupli-color automotive high temp engine paint. I patched up small imperfections with spot putty, and tried to get the larger ones with body filler. However, the filler didn’t adhere well despite rough sanding the spots beforehand, so I ended up peeling it off and doing several layers of spot putty instead. 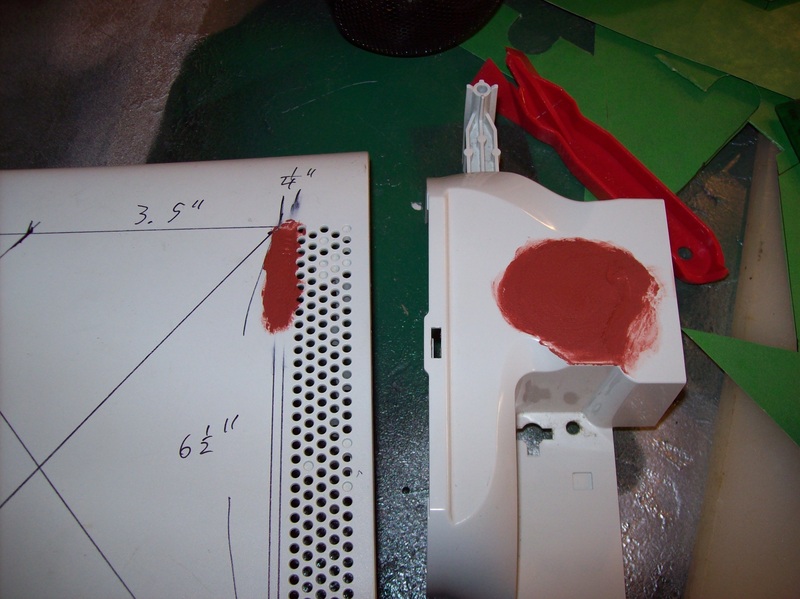 Then came some sanding and primer, and finally some red paint. 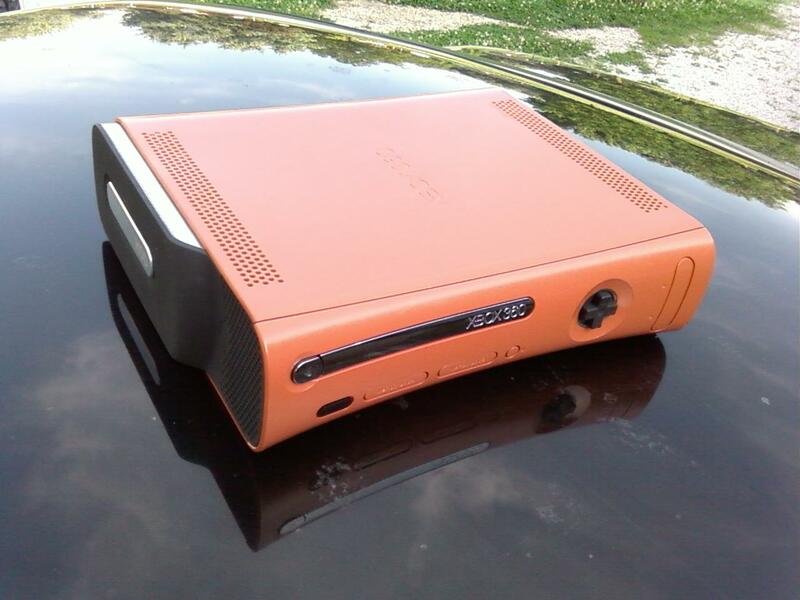 A pretty easy mod, but I like it. I went for a muscle car kinda theme with the orange paint for the main color, and flat black for the sides and power button. Looking back, I should have added racing stripes to complete the look.